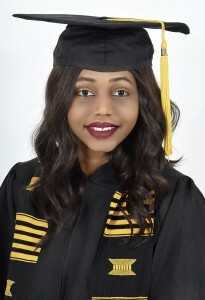 The Fall 2018 valedictorian for Grambling State University celebrates not only academic success, but also a one-of-a-kind journey on this fall’s graduation stage. This entry was posted in academics, awards, campus, graduation on December 13, 2018 by Jovan Hackley. 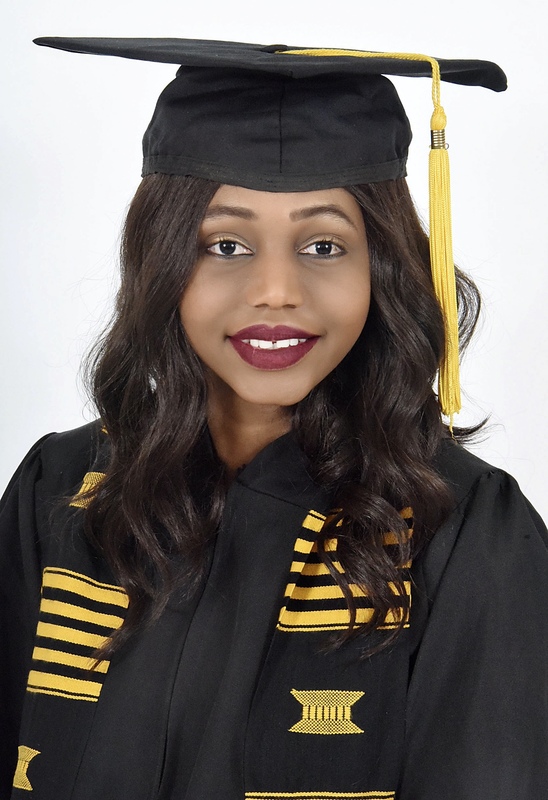 GRAMBLING, LA – Grambling State University, Louisiana’s top producer of African-American Computer Science graduates, will celebrate its Fall 2018 Commencement Ceremonies Friday, December 14, 2018 at 10 a.m. in the Fredrick C. Hobdy Assembly Center. This entry was posted in academics, events, graduation, gramstory on December 13, 2018 by Jovan Hackley. GRAMBLING, LA — November 16, 2018 – Today, Grambling State University announced Feeding America CEO Claire Babineaux-Fontenot will keynote the University’s, December 14, 2018 Fall Commencement. 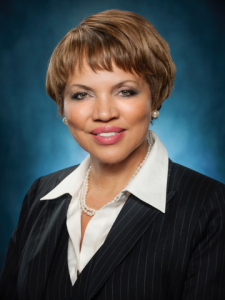 Babineaux-Fontenot has earned national recognition for her humanitarian work, growing up as one of 108 siblings, and serving as Wal-Mart’s former Executive Vice President of Finance and Global treasurer. 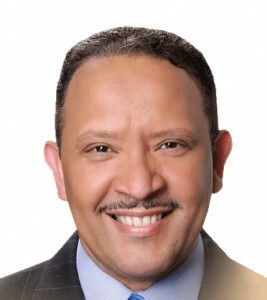 Babineaux-Fontenot’s long record of service includes serving on the national board of directors for National Urban League, Court Appointed Special Advocates (CASA), the Thurgood Marshall College Fund (TMCF), the Association of Latino Professionals for America, and the National Association of Black Accountants. Friday, December 14, 2018 at 10 a.m.
For event media credentials or interview scheduling, please contact mediarelations@gram.edu or (318) 243-5012. 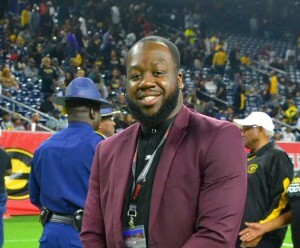 This entry was posted in academics, campus, events, graduation on November 16, 2018 by Jovan Hackley. When Denise Mack crossed the stage to receive her first degree from Dr. Johnson in the early 90’s, she had no idea she’d share that stage years later with the son she carried the first time around. Virgil Mack, who will receive his Bachelor of Arts in Visual and Performing Arts, grew up in Dubach, Louisiana and worked to beat his neighborhood outlook on a college degree. “Growing where I’m from there’s not the expectation that you’ll graduate from college. It was a stigma I wanted to overcome. I wanted to break the statistic,” said Mack. 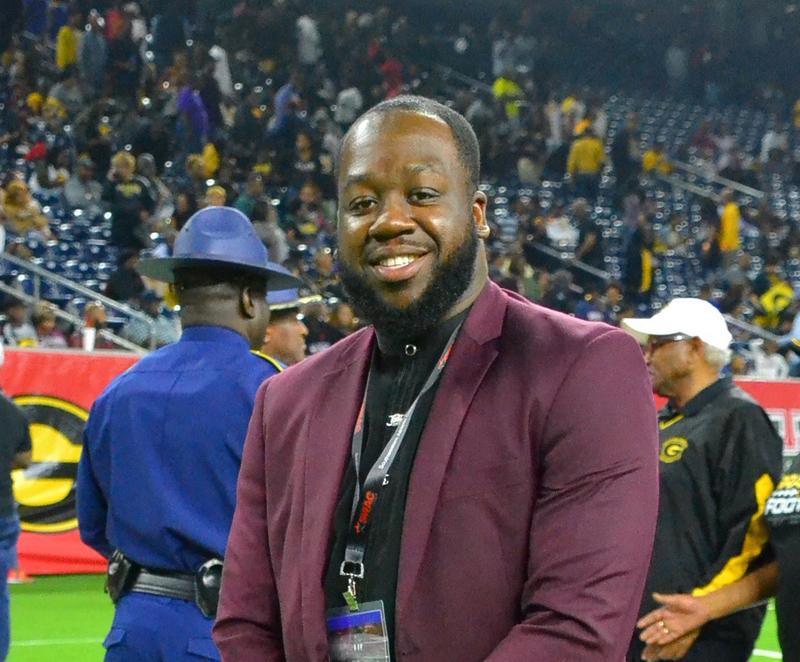 This week, Virgil will not only graduate with a college degree, but he has leveraged his time at Grambling to start on the path to entrepreneurship. Today, Virgil is in the second year of running his own photography and video company that captures and edits commercial video for businesses in North Louisiana. “It was challenging to get him to believe in himself. I knew he could do it,” says Virgil’s mom Denise. Grambling State University would like to congratulate Denise Mack, Virgil Mack, and all of the Spring 2018 graduates on their great accomplishments and inspiration to Tigers past, present, and future around the world. GSU Spotlights highlights the accomplishments of students, faculty, and alumni successes throughout the GSU Community. To nominate or provide feedback on GSU highlights, contact the Grambling State University Office of University Communications at mediarelations@gram.edu. This entry was posted in academics, graduation, gramstory, studentlife on May 10, 2018 by Jovan Hackley.